This eerie and mystical dance performance has been created in collaboration and performed with Jo Hellier and Peter McMaster. The performance includes a Visual Description developed in collaboration with Juliana Capes, which describes and interprets that which cannot be seen, but is present. The description is an accessibility function for visually impaired audiences but also functions to give access to understanding the abstract content for those who are sighted. 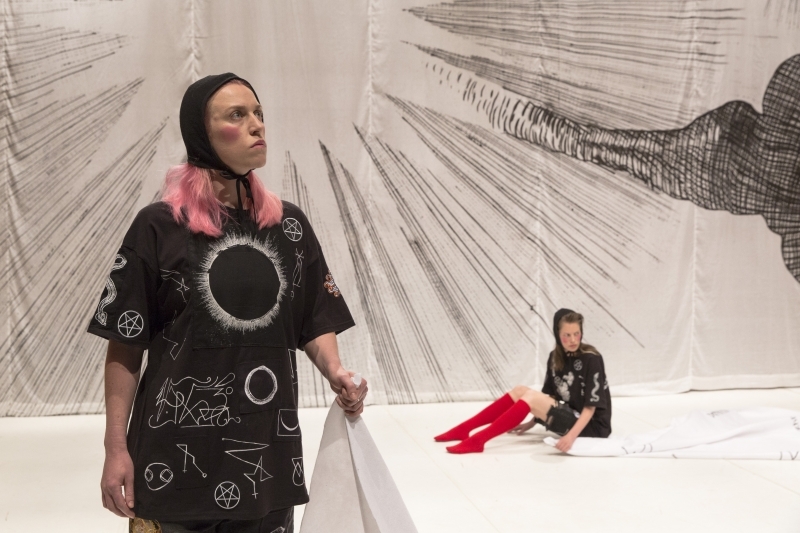 The performance uses movement, text, light, costume and a painted backdrop. It is a bright space, light springs from deep below and from behind. There is nowhere to hide. There are 3 obscured vertical figures; a blood sack, a towering meat stack (or stink horn) and a jelly beast. The 3 figures signify the 3 different fires in the work: The inner fire, the secret fire and the dark fire that stimulates the other two. Louise Ahl yet again balancing provocatively on the cusp between sly spoof and an uplifting quest for images and rituals that can give meaningful expression to existence. Louise makes work around the metaphysical and mystical, using movement, voice, light, sonics and language. Her work has shown nationally and internationally and has been supported through Creative Scotland, Arts Council England and the Swedish Arts Grants Committee. Louise was a New Associated Artist at Yorkshire Dance in 2012, a Tramway Associated Artist in 2015/16 and a 2017/18 recipient of the Starter Artist award through the National Theatre of Scotland. 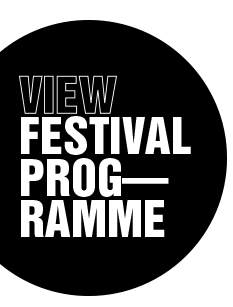 Developed through the National Theatre of Scotland’s Starter Programme (supported by McGlashan Charitable Trust), The Work Room, Beacon Arts Centre and Reykjavik Dance Festival. Supported by the National Lottery through Creative Scotland and Take Me Somewhere.